Auntie Maud bought herself a new rear-engine European car. She took an old friend for a drive, but after only half a mile the car broke down. Both women got out and opened up the front of the car. 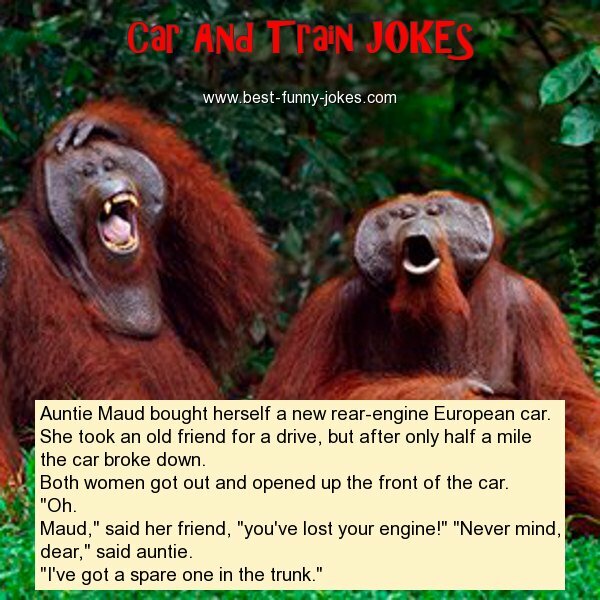 Maud," said her friend, "you've lost your engine!" "Never mind, dear," said auntie. "I've got a spare one in the trunk."